Dogs will be dogs, and fortunately and unfortunately, many of these behaviors can be considered normal. The good news is that, as dog-owners, we have the opportunity to modify and improve their behavior at home and in other situations, like on walks and in meeting new people and dogs. 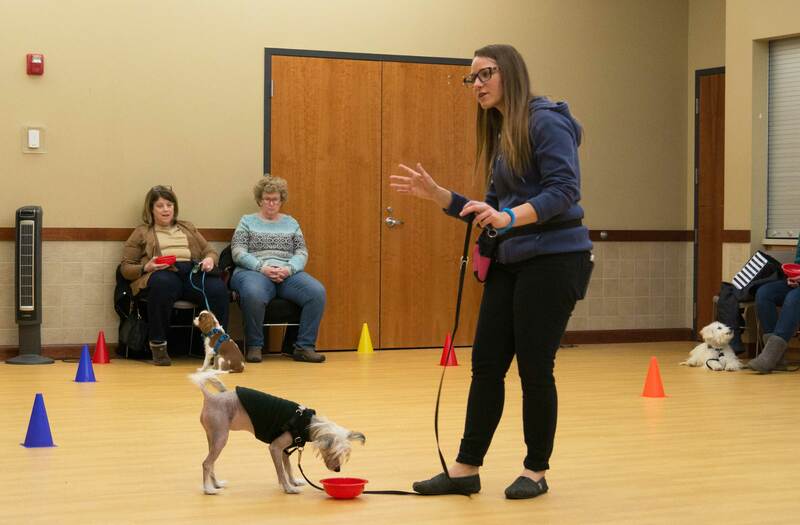 More good news!… Positive dog trainers, Sarah Hoth and Nicole Veile, can guide you through training your dog to more desirable behaviors, like being polite while guests arrive, sitting for a greeting, walking nicely on a leash, and staying in place… all with positive, fast and effective training techniques. A well-behaved dog is a pleasure to have around the house, out in public and virtually everywhere. Teaching your dog basic training skills are essential to obtaining good canine manners. The Persuaded Pooch is proud to offer 6-week “Essential Etiquette” basic obedience group dog training classes at the Webster Groves Recreation Complex every Tuesday. 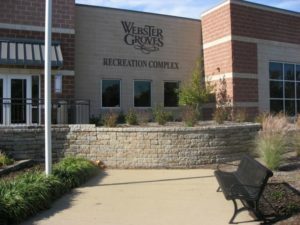 The recreation complex is right off the highway at I-44 at Elm Avenue, and is very easily accessible by St. Louis City, St. Louis County and IL residents via I-270/255, I-55 and I-64/40. Don’t wait any longer for a better-behaved dog! Taught by skilled, experienced and positive instructors, classes are fun, engaging and help build your dog’s everyday skills! Essential Etiquette classes are not appropriate for aggressive or reactive dogs. For reactive dog classes, please contact By My Side Training or visit our Private Training page for individualized, one-on-one help. Don’t wait weeks to start a class… We offer a rolling enrollment type class where new students can start any week (pending available openings)! Your dog will learn good manners around different dogs, people, interesting food smells, and other real world distractions. Hesitant to start now because you have a vacation or travel coming up? No worries! You have up to 7 weeks to use your 6 class sessions. Required Vaccinations: DHPP, Bordetella and Rabies administered at least 1 week prior to the start of class. Owners will need to bring proof of vaccinations to the first class. Receive a one-time 10% off discount at Petsway pet store in Affton, MO. Petsway is your class prep headquarters! They carry everything you need for class time… and lots more! Not sure yet about coming to class? Potential students are always welcome to audit a class (without dog) to determine if The Persuaded Pooch classes will be a good fit for your dog and your own personal learning style. Questions? Want to learn more?… Contact us! Looking for puppy training? Click here! Looking for private dog training lessons? Click here!